Subaru Winter Experience to Return This February! September 14, 2018 — Subaru of America, FlatOut Sweden, and DirtFish Rally School are pleased to announce that Subaru Winter Experience will return to Dollar Lake in Eagle River, Wisconsin this February and March. After a highly successful debut earlier this year, the event returns with more cars, more driving options, and more opportunities to sign up. This year’s Subaru Winter Experience will expand upon last year’s program with new course offerings. A brand new two-day program, featuring additional driving exercises and even more track time, will join the single-day program first offered last year. 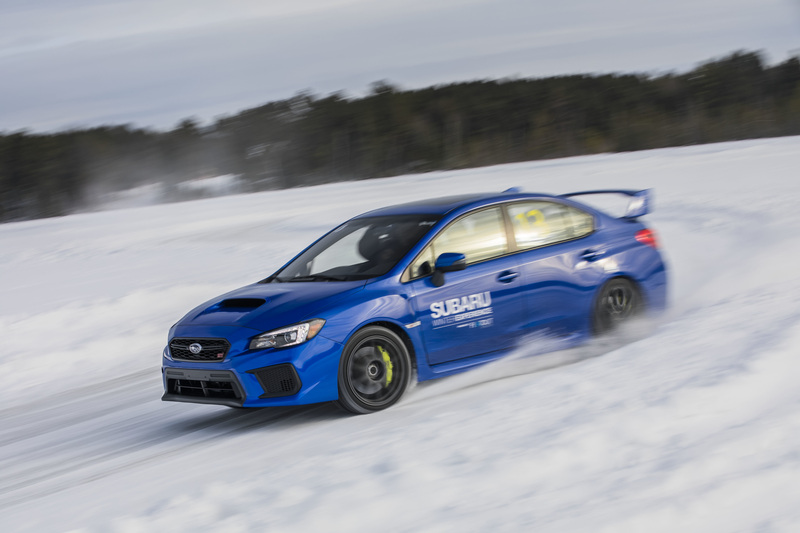 In addition, this year’s Subaru Winter Experience will offer special one-on-one driver training options, designed specifically to the skill set and experience of its participants. 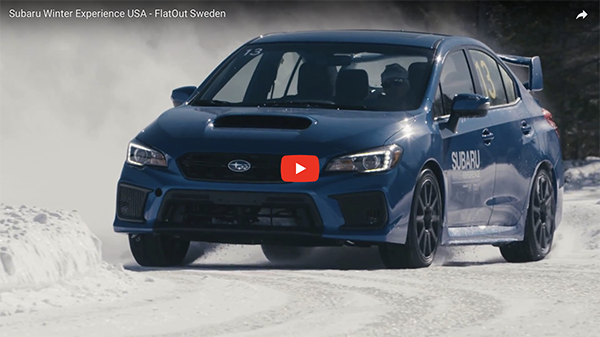 The Subaru Winter Experience offers its participants the chance to slide the rear-wheel drive BRZ, all-wheel drive WRX, and legendary WRX STI around a custom-designed course on Dollar Lake. All vehicles are equipped with custom studded tires from Sweden to offer drivers ultimate car control. Participants can also look forward to specially prepared meals from Subaru Winter Experience’s Swedish chef Daniel, as well as ride alongs on the ice with the instructors at the end of the event. More information and booking options are available at http://www.subaruwinterexperience.com. For more information on one-on-one driver training, please contact [email protected]. For media information, please contact Chris Leone at [email protected]. Formed in Sweden but with specialists all over the world, FlatOut Sweden is not your ordinary event company. With deep roots in motorsports, we know what it takes to create a truly unique experience for our clients. From driving schools to corporate events and even testing services for World Rally Championship teams, FlatOut Sweden’s portfolio includes some of the most diverse and impressive driving showcases on both sides of the Atlantic Ocean. For more information, visit www.flatoutsweden.com. Nestled in the foothills of the Cascade Mountain Range in the scenic town of Snoqualmie, WA, DirtFish Rally School is the only full–time rally school on the West Coast and boasts an impressive array of rally cars, rally driving programs and memorabilia to suit enthusiasts of all ages. Based at the former Weyerhaeuser Lumber Mill site, the property itself boasts a rich history, having been the second all-electric lumber mill in the country in 1914. A century later, in October 2010, DirtFish opened its doors with the goal of offering unparalleled training in top-level vehicles, as well as provide unequaled opportunities for vehicle testing, specialized training, corporate/team events and more. Rally heaven awaits any student enrolled in one of DirtFish’s many programs, from the simple Two Hour Taste of Rally program all the way up to the Three Day Ultimate Rally Experience and onto advanced and private training in both rally and rallycross, in either all-wheel drive Subaru STI or rear-wheel drive Subaru BRZ rally cars. Tune in to Global Rallycross at X Games Los Angeles!